London Artist and zine king PMH has just dropped his first new zine of 2009 under The Dilly banner. 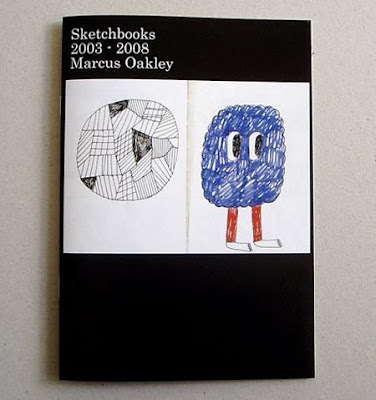 The 6th Dilly Zine gives us a rare look inside London illustrator Marcus Oakley's personal sketchbooks, from 2003 to 2008. 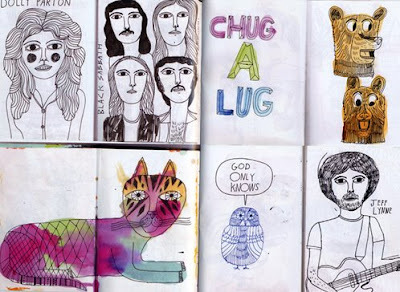 The zine is full colour offset on recycled paper and 24 pages. Each A5 page has 2 double page scans of his sketchbooks, so you get a mountain of Marcus artwork for your money! The last five Dilly zines were all awesome and sold out really quick so don't hang about, get yourself a copy of this zine. It's available now in The Dilly online shop.